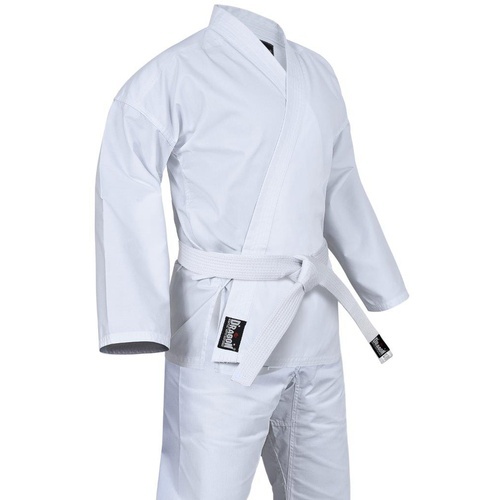 This Dragon lightweight 8oz student karate uniform is everything you want in an entry level martial arts gi. 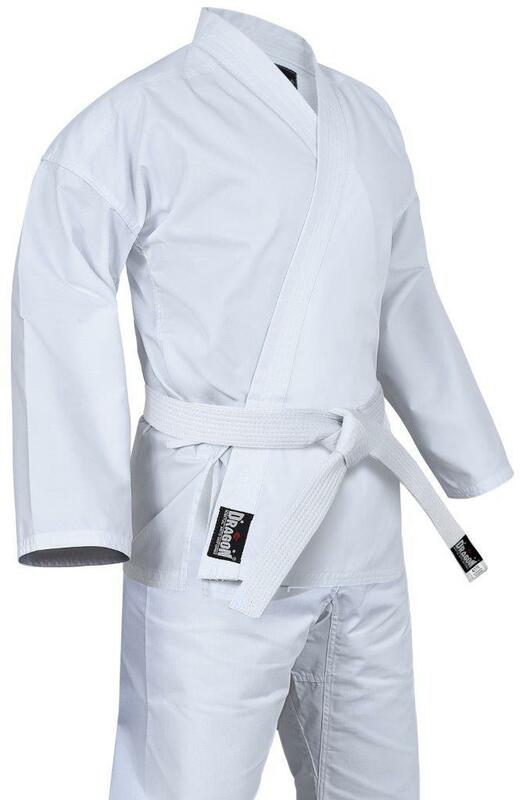 Our exclusive light-weight 8oz Karate uniform puts other brands to shame. These high-quality lightweight student uniforms are made of a durable 8oz cotton/poly material and are built to last with extra stitching in the jacket and pants, read the customer reviews to see that even though this is an 8oz uniform it feels more like a 10oz. 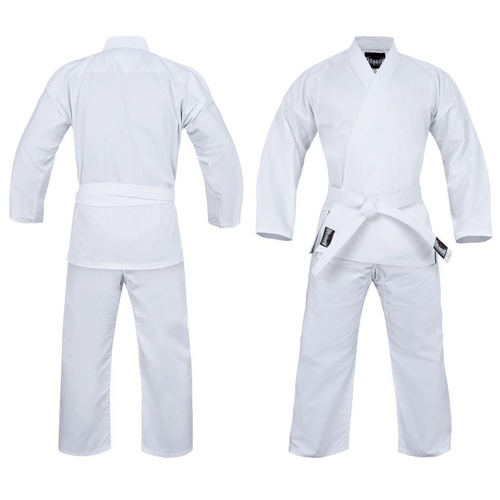 Made using 35% cotton and 65% polyester ensures that these Dragon karate uniforms are soft on the skin, durable and require minimal ironing for day to day club training. 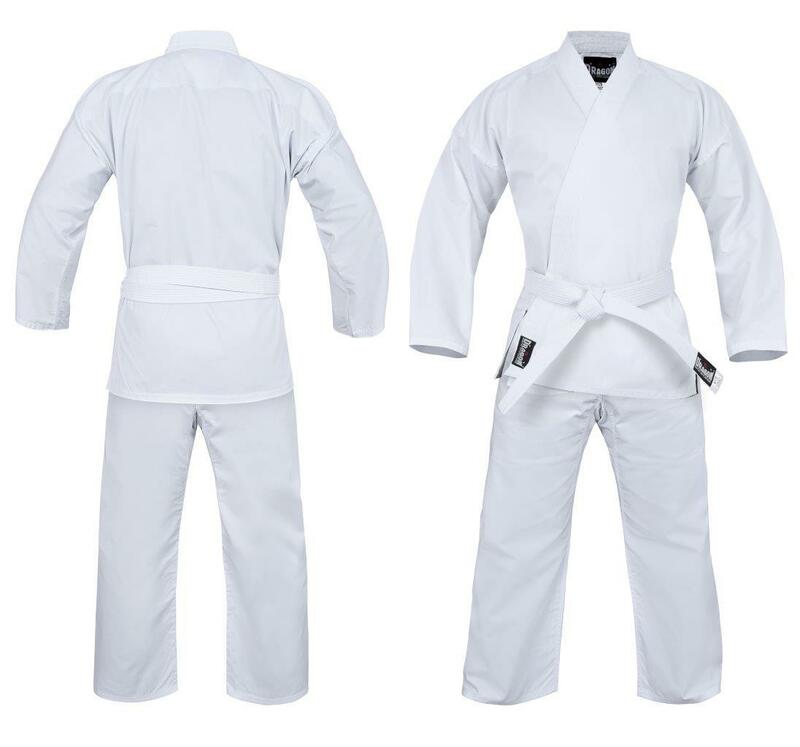 Once you give our 8oz lightweight Karate uniforms a try, we know you won't ever want to wear anything else. Very happy with the quality of these Gi's. 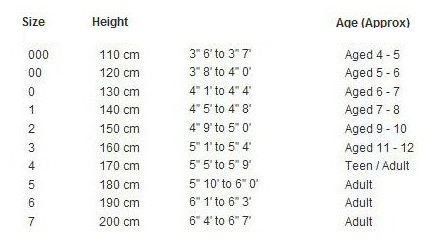 They wash well and feel more like a 10oz.